Lemon Bay Glass + Mirror is your expert resource for hurricane impact windows, doors and storefronts. 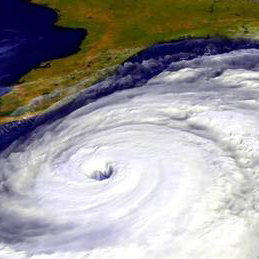 For over 27 Years, we have been the “Go To” for hurricane impact windows and doors in South West Florida. The professionals at LBG take exceptional pride in providing the highest quality impact window and door installations. Attention to detail is our specialty, whether you are a homeowner or contractor, every project is important to us. Office building managers as well as architects and developers. Our focus is fully educating as opposed to selling. We want happy clients who refer us to family and friends. To help us achieve this we place a higher emphasis on outstanding installation services and customer experience. Knowledgeable staff with extensive Building Code training – We are licensed and fully insured. Expert installers – All our installers are factory trained and employees of LBG. Accountable to our clients – We hold a Better Business Bureau A+ rating. We offer window installation on a large selection of impact windows and doors from top manufacturers such as PGT WinGuard and WinDoor. Our hurricane window and door products meet the most stringent ratings for hurricane-force winds and flying debris. Our Hurricane impact windows and doors not only offer protection from storms but also offer additional benefits in security and break in protection. Other substantial benefits include: increase in energy efficiency and protection from the sun’s harmful UV rays. At Lemon Bay Glass we strive for a superior level of installation for every client. Contact Lemon Bay Glass + Mirror (LBG+M) and schedule a consultation today.